Cyprus represents an interesting challenge for NATO, as the Eastern Mediterranean island could be the source of further friction between the Alliance members, Turkey and Greece, in the near future. Turkish President, Recep Erdogan, has affirmed the increase of Turkish military personnel on the island while stating that they would not establish a military base there. He added, however, that if the need for such a base arises, “we will establish a military base there.” The statement comes after the Turkish Navy submitted a report to the Ministry of Foreign Affairs, recommending the establishment of a military base in the Turkish occupied northern region of the island. Turkey has occupied almost 40% of Cyprus since conducting a succession of invasions of the island in the mid-1970s. The first, following a Greek Cypriot coup d’état on July 15, 1974, which installed a regime that sought for Greece to annex Cyprus, and the second, in mid-August 1974. The invasion and ensuing Turkish occupation of part of the island resulted in an arms embargo established by the United States against Turkey and the Republic of Cyprus in 1974. The embargo against Turkey was lifted in 1978 though remained in place against the Republic of Cyprus. A bill was introduced in Congress to remove the embargo against the Republic of Cyprus in April of this year, and despite the bill not yet having passed Congress, it is the result of ongoing tensions between the U.S. and Turkey. Turkey is a significant member of the Alliance’s presence in the Eastern Mediterranean and has been integral to maintaining regional security, including by hosting 3.5 million refugees. However, Turkey must not use this as leverage to further militarize Cyprus, thereby rekindling tensions with Greece. To prevent such a scenario, NATO must challenge further Turkish unilateral actions that threaten the rules-based international order that is central to its mandate, while maintaining close partnerships with Turkey. It’s hard to advocate a ‘tough love’ approach to conflict resolution – by cutting financial flows to those feeding ongoing violence, for instance – when that sort of measure directly hurts civilians. This has been an issue in Syria especially, where as much as the rest of the world endeavours to distance itself from the Assad regime and provide humanitarian aide to civilians on the ground, the resources are being stolen and repurposed. But what can the world do otherwise, let innocents starve? Russia has survived under economic sanctions; as much as they hamper it, they certainly do not deter it, and Russia remains the greatest obstacle to intervention in Syria to this day. Carte blanche has essentially been granted to Syria and her allies by the rest of the world, especially American presidents, who have dithered on the issue. If world leaders truly believe in a rules-based international order, it’s time to accept that something must be done in Syria; it is not a lost cause and shouldn’t be relegated to ‘collateral damage’ by the international community. The world’s reengagement in the area, promoting discussion and the cause of conflict resolution, would give grassroots groups and politically threatened individuals a chance to chime in with their insights and perhaps advance workable steps to bring some kind of justice to the situation. If Syria can be brought back from the brink of destruction, discussions of that process could serve as a template that would reveal similar grassroots ideas for bringing other conflict regions back from catastrophe as well, or at least inspire similar actors to take similar steps to regain control of their own fate. Civilians can have a lot more insight about how to undo the messes created by politicians if we just give them a safe space to speak and the promise to listen. Russia has long fought to maintain influence in former Soviet territories and other neighbouring countries. Russian President Vladimir Putin’s support for the regime of Syrian President Bashar al-Assad and supposed fight against ISIS has already put Russia at odds with other Western powers. Currently, Turkey is absorbing the greater portion of refugees fleeing Syria, and acts as a buffer to reduce the influx of refugees into Europe as part of a controversial agreement. Turkey is and will continue to be an important player in the region, however, it has many domestic struggles to cope with that include an economy experiencing a rising amount of debt due to Turkish President Recep Erdogan’s continuous interference in the Central Bank. Internationally, Turkey is an important NATO ally and has a vested interest in maintaining security in the region. As such, the recent agreement between Russia and Turkey to establish a buffer zone in Syria around the rebel controlled area of Idlib, is an example of the role Turkey could play in reducing tensions. Greece and Turkey have had a complicated relationship over the island of Cyprus. Earlier this year, the two countries tensed up over a collision between a Turkish ship and a Greek vessel in the Mediterranean. Oil exploration in the Mediterranean brings to the forefront disputed maritime boundaries and tensions between the Greek and Turkish Cypriots of the island. Egypt recently announced an agreement with Cyprus (Greek Cypriots) to build a pipeline from the Aphrodite deposit (off the southern coast of Cyprus) to Egypt, which will then transport oil back to Europe in liquified form. The disputed territorial claims came into play when Turkish forces blocked a planned oil drill between Italy’s Eni and Cyprus. Clear lines of communication will be required moving forward to harness the potential of the area. Turkey, as an EU candidate and NATO ally, has a crucial role in maintaining peace within the region and resolving the Cyprus issue peacefully. While immediate war will be unlikely, such disputes contribute to the rising tensions in the region. The Syrian Civil War – though much less intense since the effective defeat of the Islamic State – creates a massive power vacuum and breeding ground for further unrest and instability in the Eastern Mediterranean. The large military build-up in the region – a mix of forces fighting on the side of the Assad regime, various rebel groups, and different factions of the Free Syrian Army (Arab anti-Assad fighters, Kurds, etc.) – sets the Levant up for a precarious future. Russia’s ongoing penetration of the area, the anti-Western sentiment it sows through disinformation and cyber attacks, and its apparent practice of covert assassinations all speak to its unfriendly designs, which behoves NATO to monitor Russian activity, such as its naval base in the port of Tartus, and its airbase in western Syria, with a watchful eye. These two bases form critical infrastructure that makes for increased Russian stakeholding in the region. As long as the Assad regime stays in power, Russia too will protect its assets in Syria, and its influence will continue to permeate the region for the foreseeable future. The Eastern Mediterranean is also ground zero of the global problem of forced migration, for a large proportion of the world’s refugees and illegal immigrants originate from the unfortunate circumstances of the Syrian conflict. Compounding this problem is that Maritime Law is ambiguous about the responsibilities that vessels of sovereign nations have towards refugees plucked from international waters: are they the responsibility of the foreign state from whence the ship originated? Is the ship required to take them back to their country of origin? The answer is not clear, but how the question is answered has huge repercussions for national immigration laws, foreign relations between states beset with a refugee crises, and multilateralism. 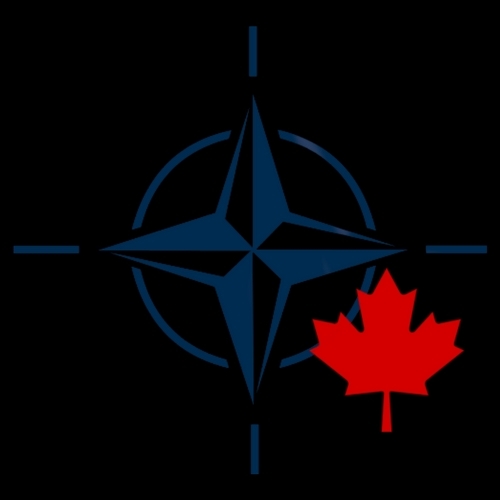 NATO is well represented in the Mediterranean and the Black Sea; many of its members border those bodies of water. The potential is there for a coordinated, multilateral NATO strategy to bring stability to the region. However, before any policies can be drafted to this end, NATO has to go back to first principles. Fundamentally, it is an organization dedicated to upholding the universal liberal-democratic values enshrined in the United Nations Charter. As the alliance expands outward, adding new members to itself, it must maintain its depth – that is, its commitment to the values for which it was organized in the first place. 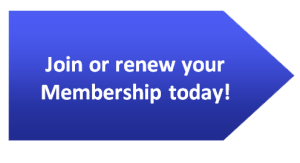 This means it should not loosen its standards for the sake of retaining or adding members. Otherwise, it faces an existential crisis. Turkey’s place in the NATO alliance needs to be disambiguated before policymakers in NATO countries can collaborate in formulating strategic plans for the Eastern Mediterranean. Uncertainty about what kind of political entity Turkey – the preeminent NATO state in the area – will be in ten or twenty years’ time brings any long-term strategies the alliance might conceive for the Levant into doubt from their very inception. Lest this opinion be dismissed as too exacting, consider what is expected of other NATO members. Much has been made about some Eastern European states’ turn to populism and nativism, political developments that strike some observers as being at odds with the liberal values that define Europe as a recognizable political and cultural entity, and to which the United Nations, and by extension, NATO, are committed to defending. Multilateral institutions have directed critical responses at those states, even threatening them with punitive measures. So be it. What is vexing is that the response to the decidedly illiberal culture of Turkey has been extremely muted in comparison. Commentators complain of Eastern European xenophobia, but Turkey has been resistant to pluralism for years, and now treads dangerously close to dictatorship. It makes the outrageous denial of the Armenian Genocide a matter of state policy, something that would never be tolerated of a European state. Where is the consistency? Obviously, the West’s reluctance to confront Turkey over its behaviour stems from the awareness that it is a bulwark against a resurgent Russia and a critical staging area for ongoing NATO operations in the Middle East. But the security of the Dardanelles pales in comparison to the preservation of liberty and democracy. If Turkey is not pursuing the same goals in the region that the rest of NATO is working towards, how can an alliance based on consensus between like-mindedmembers operate effectively? If Turkey is on board with what the alliance stands for, it needs to act like it. Only then will the predictability necessary for formulating a long-term strategy for the Eastern Mediterranean be in place. Alliances only mean something if their constituent members identify with the cause for which it stands. The former Soviet satellites’ exchange of Warsaw Pact conformity for NATO membership is a perfect example of this. 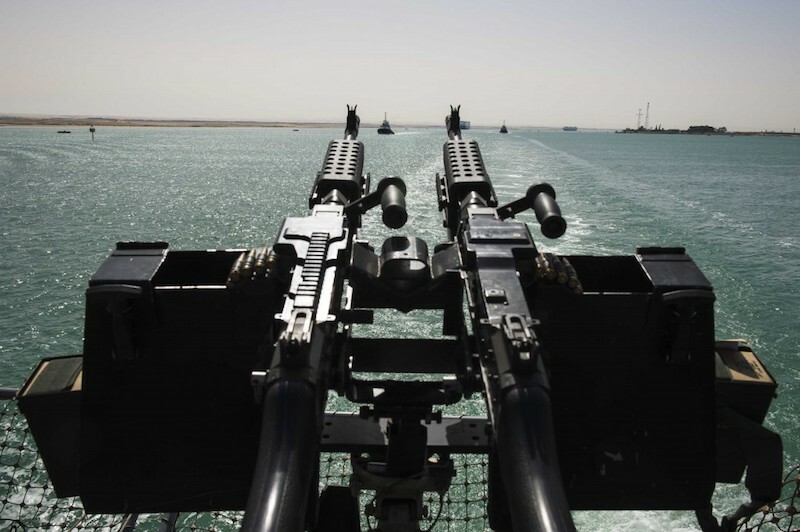 Photo: View from the deck of the American destroyer, USS Porter, as it passes through Suez Canal, 2016, by Mass Communication Specialist 3rd Class Robert S. Price, released by the U.S. Navy.